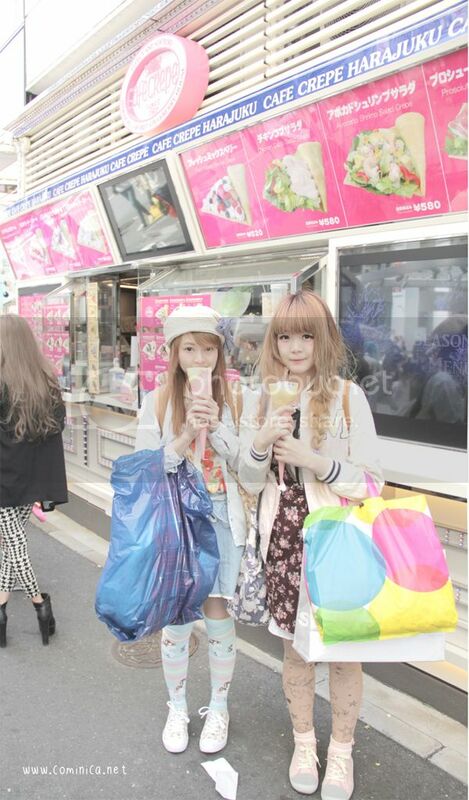 Harajuku is famous for their Yummy and Tasty Crepes. 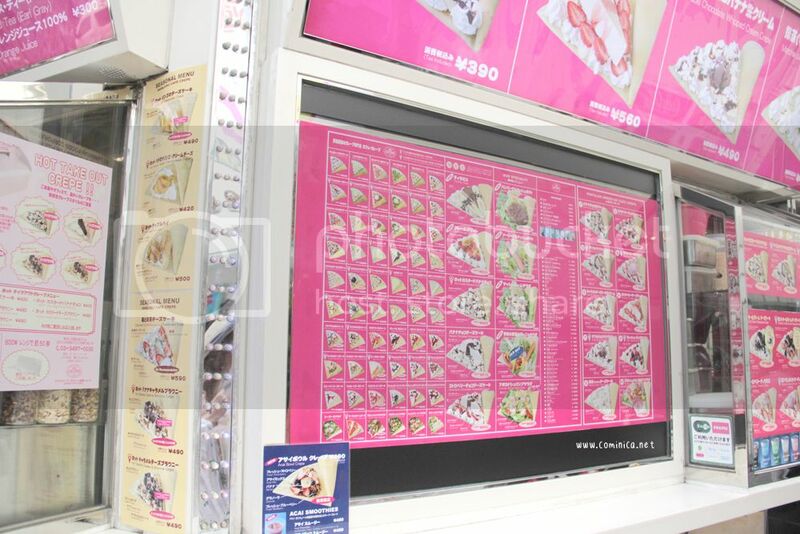 There're few Crepes store in Harajuku, but I decided to try this Cafe Crepe because it was recommended in Cutie magazine. 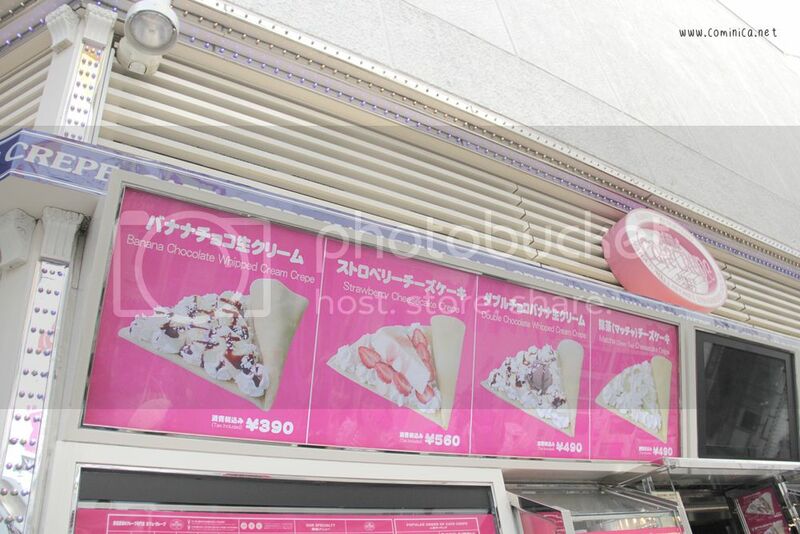 They claimed to be the first Cafe Crepe in Harajuku. 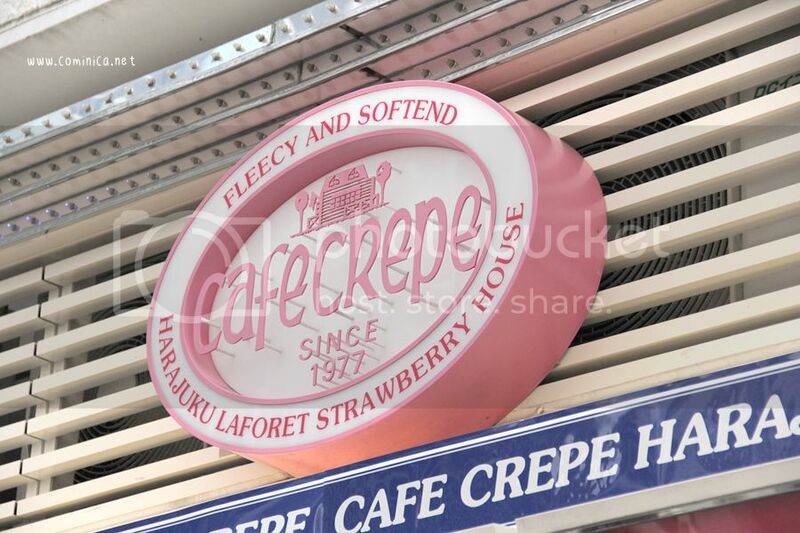 After saw all menus, I decided to order Strawberry Cheesecake Crepe, mwehehehe looks sooo naiissuu! The queue line was long at first but Japanese people works so fast, so I didn't feel like queueing too long there. Beside that, Spinns (Fashion Brand) just right beside this Cafe Crepe so I can just looking at their stuffs so I didn't feel boring. And finallyyyy my Crepe! Aaaa I swear this was the yummiest Crepe I've ever ate! The Strawberries are fresh, the cream was light, fluffy and melted in my mouth, not too sweet and the Crepes is smell like a fresh milk! lol so good! Price also affordable IMO, hehe. 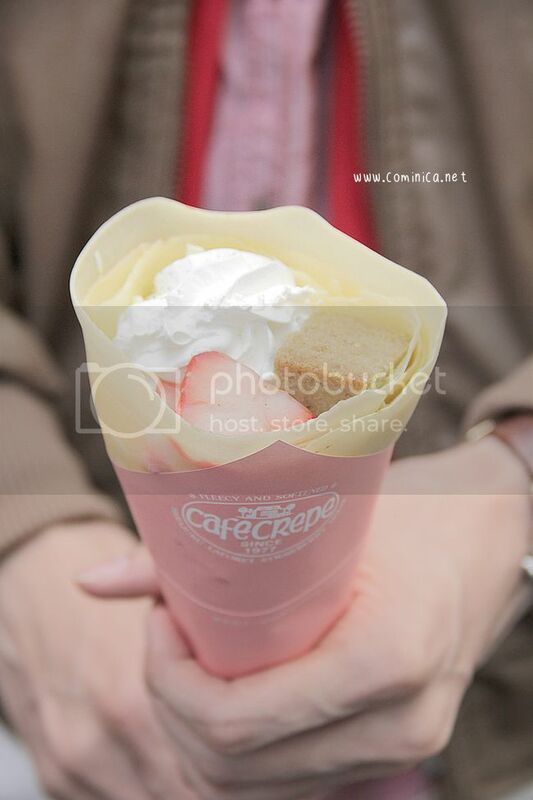 If you visit Harajuku, make sure to try this Cafe Crepe. Hehe, see you! The packaging is so cute. It's amazing all the variety they have! 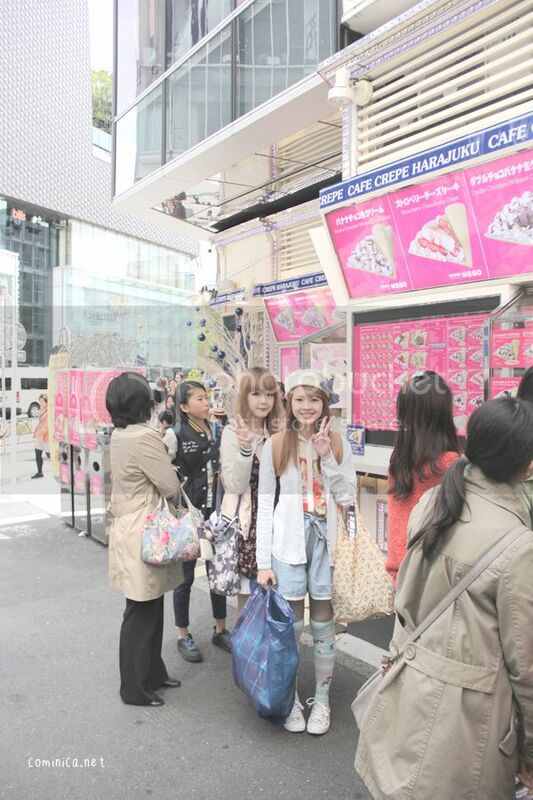 the crepe looks delicious and you look cute !! It looks so kawaii! 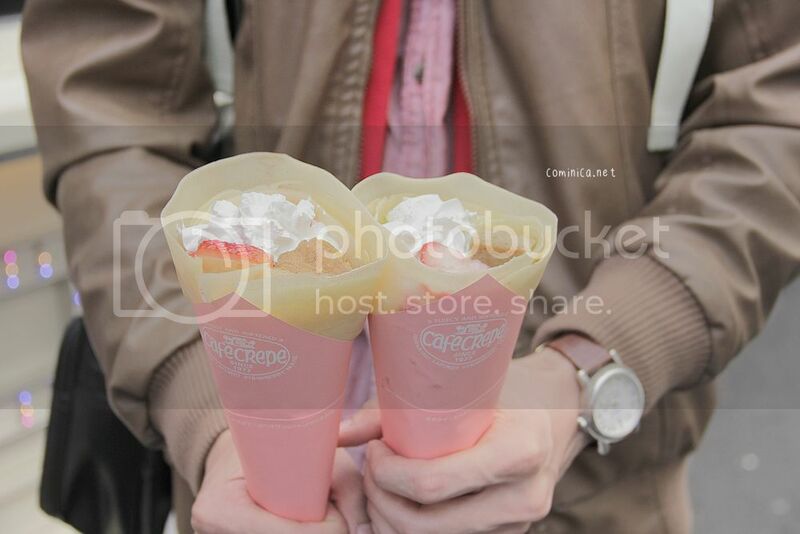 The crepes look so yummy too! yummy! you are making me hungry. lol. i love japanese deserts...i love japanese everything pretty much. heheh.